I can’t believe it’s the 23rd of June already! How did that happen? Tonight the awards will be announced at a ceremony beginning in less than three hours from now! So I am quickly going to say what I have to say about each of the books I have read in the Young Adult and Junior Fiction sections, and then see how that pans out with the judges choices! Results will be posted at this link, I am sure: FACEBOOK for NZ Post Book Awards for Children and Young Adults. Such a difficult category to pick a winner from, with each having their own strengths. Certainly the favourite with the students has been ‘Project Huia’ by Des Hunt. And it is a great adventure. My pick of the bunch? This is a tough one, but I think it has to be ‘The Princess and the Foal’. The book captures a voice that feels unqiuely ‘Haya’s’ and tells a powerful story. Gregg’s knowledge of horses and descriptions lend an authenticity to the telling that sets it apart. This is an interesting one. Joy Cowley writes beautifully, as always. There is a retro feel to the book that is quite appealing to adults, I think, but is not really capturing my students yet. Several have finished it, but it has become one of the ‘in-demand’ books in the classroom. There are great relationships to explore between siblings, grandparents, parents and grandparents, children and parents, and children and their grandparents. It describes the Marlborough Sounds evocatively. I am just about to finish reading ‘Because of Winn-Dixie’ to the classes I teach, and will have a go at ‘Dunger’ next, to see if it fares better as a read-aloud. ‘Still in a daze, I followed Uncle Felix and Bella down the path. If anything, the fact that the cobblestones were so hard and very real made everything stranger, more unreal. When we entered the terminus I looked around with wonder. The lttle red cable-car was polished and gleaming just as it had been in Into Axillaris; its little mullioned windows made it an interesting mix of technology and romance. No sooner had we entered than a twerp hurried down the platform towards us. I love the writing, but I struggle to see it connecting with a wide range of young readers. I enjoyed reading this story of a Polish family’s experience during World War 2. Author, Melinda Szymanik has based many of the events on experiences her father had, which lends the book an authenticity. It adds another persepective to what is becoming a huge literary genre, for children. Many of my students have been avid readers of books like ‘Number the Stars’ by Lois Lowry, ‘The Boy in Striped Pyjamas’ by John Boyne, ‘I am David’ by Anne Holm, ‘Sadako and the Thousand Paper Cranes’ by Eleanor Coerr, and of course the ‘Once’, ‘Then’, ‘Now’ and ‘After’ series by Morris Gleitzman. There are so many other great stories, too, each offering a slightly new perspective of events. In some ways, ‘A Winter’s Day’ made me think of ‘The Endless Steppe’ by Esther Hauzig. I remember, vividly, reading this when I was much younger, and feeling the cold and the hunger, and the injustice of the tragedies. ‘A Winter’s Day’ is more approachable for younger readers, I think. For me, the book was a little uneven. I loved the first two thirds, and then, as refugee lives are wont to do, it started to feel a little bit like a list of place names. I have had several of my students read and positively review the book, passing it on to friends to read, with postive recommendations. 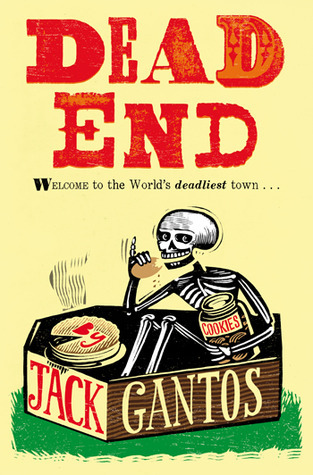 ‘It had suspense – it had the bad guys and the good guys trying to get the same thing, lots of action, it’s just an all round, great book,’ so says Hamish, a 12 year old boy of the good, keen man variety. Singlehandedly, he has persuaded many of the other students to pick up ‘Project Huia’ and other Des Hunt books to read. He has now read all the Des Hunt books we can find, and can talk about each almost evangalically! Thank you Des Hunt, because you have helped Hamish to discover reading. He has since read ‘Juggling with Mandarins’ and ‘Shooting the Moon’, by VM Jones, and loves them as well. Grandpop Jim and Logan investigate the mystery of what happened to the last huia, a now extinct New Zealand native bird. Everything a young reader could want is in the story, with a jinx, motorbikes, bullies, crashes and a great ending. Another really positive grandparent/child relationship represented. Des Hunt really appears to understand what a young, particuarly boy, reader requires, and to deliver it with applomb. Humour, real-life issues and realistic relationships and dialogue make his books very readable. I have had to buy three copies for my classroom, and I haven’t seen one sit on the shelf for more than a lesson. This book has a very distinctive cover, with its bright pink background, black silhouette of a girl and a horse, and sparkly (I think) stars. I have to try to remember, since I haven’t seen my copy for weeks now! The girls from Y6 and up have been very much enjoying this unexepectedly good book. When I say unexepectedly, that may sound unfair, but I have never really been a reader of Stacey Gregg’s Pony Club Secrets books. I can give them out to girls who like horses, and those who like a positive tale of overcoming odds to compete successfully are various horse events. ‘In floods of tears, Issie rounded the corner of Storm’s loose box. She slid the door open and then shut it again behind her and collapsed down into the straw on the floor at Storm’s feet, sobbing her heart out.’ (from Pony Club Secrets: Nightstorm and the Grand Slam). The story is inspired by the early life of Her Royal Highness Princess Haya Bint Al Hussein and will provoke some thoughtful discussion about current events, as well as give a great read to any young girl who loves horses (and even those who don’t!) I guess my main quibble is that the cover is so emphatically girly – pink and horses. Really?! However, it does attract them and is very sought after in the classroom. Yet another book I had to buy a kindle copy of so that I could refer to it! Wow! What a variety in this section. I thought these books were all very exciting. I am completely torn bewteen ‘When We Wake’ by Karen Healey, and ‘Bugs’ by Whiti Hereaka. I found ‘Mortal Fire’ superbly constructed in terms of the settings and mechanisms of the magic, but the characters were difficult to engage with. ‘Bugs’ won me over immediately, when I read it. And I was inclined to think it would be a sure fire winner, until I read ‘When We Wake’. 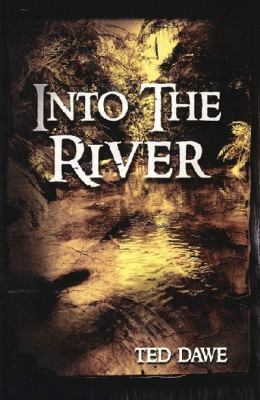 This specualtive fiction novel had me hooked. In the end, I think ‘When We Wake’ would be the student choice, but my favourite is still ‘Bugs’. Can’t wait to see the winners tonight! 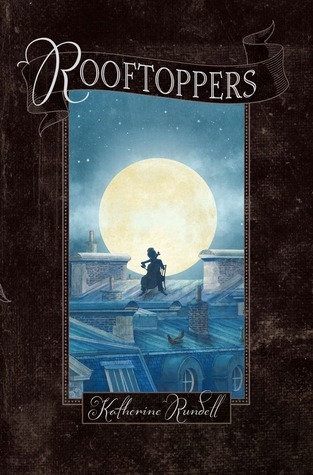 Winner of the Newbery Medal 2012, Washington Post Best Children’s Book of 2011. This novel has more than an element of the ‘do you remember’ about it. It is nostalgic for 1962, small town, America. Norvelt has a special history in that it was founded by Eleanor Roosevelt (hence Norvelt) for families who were struggling financially. To be honest, at times it does feel a little self-conscious about ensuring you know when it is set – for example, ‘It was a good thing John Glenn had orbited the earth back in February.’ And, of course, JFK is still alive. 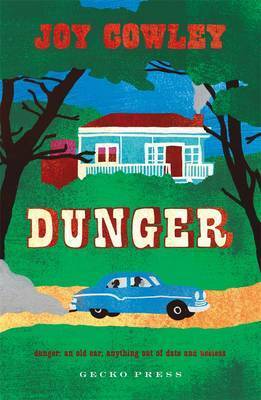 But it does well to introduce a version of the early 1960’s small town America to today’s young readers. ‘My uncle who had painted the pony claimed he had seen a UFO come down over that very same hill before the drive-in was built. He was in the newspaper and said he had ‘touched’ the UFO and that it was ‘covered in a strange Martian language that looked like chicken feet.’ My dad called my uncle a nut, but it wasn’t so nutty when the army sent troops and a big truck to take the mysterious UFO away and afterward military police went door-to-door to all the little towns around here, warning people not to talk about ‘the fallen object’ with any strangers as they might be Russian spies.’ Without going into the politics in depth, the reader gets a sense of the cold war, space as the next frontier, and a more censored world, possible in a less technological era. It is the golden rule of middle grade fiction that, if you haven’t killed off the parents, they must be incredibly unfair, and unwilling to listen to reason. Certainly they will be misguided. Maybe they are even a bit mad. Probably they are so busy in their own lives that they barely notice the antics of the hero, who has the mindboggling challenge of needing to put the world to rights, without anyone noticing that it wasn’t right in the first place. No one must know anything is wrong, because usually it is the fault of the hero, who had a misguided moment of klutziness, whilst doing something forbidden. Things get worse before they get better, despite the best intentions of our hero, but in the end… well, I’d hate to ruin a good story, so I’ll stop right there. Jack is not so much a klutz, as a bit day dreamy, ‘because my mind wanders in the morning my feet are always a few steps ahead of me…’ When we first meet him he is on a picnic table in his back yard, with his father’s WW2 Japanese war souvenirs, watching a drive-in war movie, using the Japanese binoculars. Jack also has his father’s sniper rifle, and the movie enemies are for target practice, ‘because Dad said I had to get ready to fight off the Russian Commies who had already sneaked into the country and were planning to launch a surprise attack.’ Jack doesn’t realise that the rifle is loaded and one thing leads to another, which leads to Miss Volker dropping her hearing aid down the toilet, and the town plumber, who is also the local ambulance driver, roaring up to Miss Volker’s house in the ambulance to help. Mom now has Jack over a barrel, so to speak, since Dad will blow a fuse if he knows Jack has been playing with his war souvenirs, and especially that he broke the rifle safety rules. Jack is mystified as to how the gun came to be loaded, but accepts the error of his ways, and the inevitability of a severe consequence. Mom grounds him until his father returns, with the only exception being that he is allowed to leave the house to help out their eccentric octogenarian neighbour, Miss Volker. It turns out that Miss Volker needs him because, due to her severely arthritic hands, she is unable to write anymore. She has Jack scribe the obituaries of the elderly townspeople, who suddenly seem to be dropping like flies. I have a couple of boys lined up to read this one over the next couple of weeks – they have already read the blurb and are keen. I’m keen to see what they think. I think it’s a great read, but I’m interested to know if there’s just a bit much history tucked into the book. As any parent knows, there are only so many green things you can hide in something yummy before it is spotted for the vegetable that it is. Speaking of which, here’s a titbit for the Kiwi’s. Jack is reading about Kennedy during WW2. Apparently, ‘Kennedy and his torpedo boat crew were on night patrol in the sea around the Solomon Islands when a Japanese destroyer came roaring at full speed out of the mist and sliced their boat clean in half. Eleven men survived the collision but some were burned badly from the fuel fire that took place after the crash. Kennedy had been hurled across the deck and fractured a vertebrae in his back but he could still move. There is a sequel to this book, ‘From Norvelt to Nowhere’, so if this goes down well, then I may buy it. This is a partnership made in heaven, I think. A little bit like Roald Dahl and Quentin Blake – quite a lot like that, in fact. There is an energy between the story and the drawings that means the sum is more than the parts. This book is a must have for every book shelf home and school – even if your kids are big (My 15 year old chuckled his way through it in one sitting). Or they’ve left home. Or they’re a cat and a dog. Or a goldfish. Anyone who’s been a child living with adults will enjoy this book. ‘We can’t eat our cereal,’ said my sister sadly. 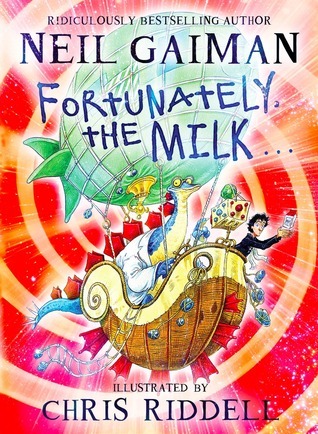 I’m not sure why, but as I read it, I heard Ardal O’Hanlon reading it – I’m pretty sure that’s the perfect voice for this book (although there is apparently a very good version of Neil Gaiman reading the book, which would be excellent, too.) It’s a born read aloud for parents, or in the classroom – there is plenty of room to play with funny voices, ridiculous accents, spectacular pauses, and even the odd loud, scary noise. Potentially a modern classic – buy or ‘borrow’ it now! Click on the link below to see Neil Gaiman introduce the book, and watch Chris Riddell draw Professor Steg.